We have some upcoming local events coming up that I wanted to remind everyone about. 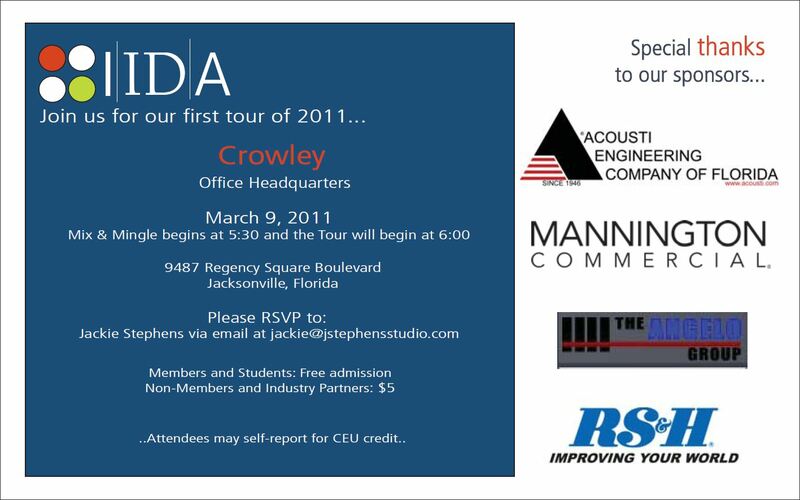 March 9th IIDA is hosting the tour of the Crowley offices. See the attached flyer for more details but please RSVP by March 7th. 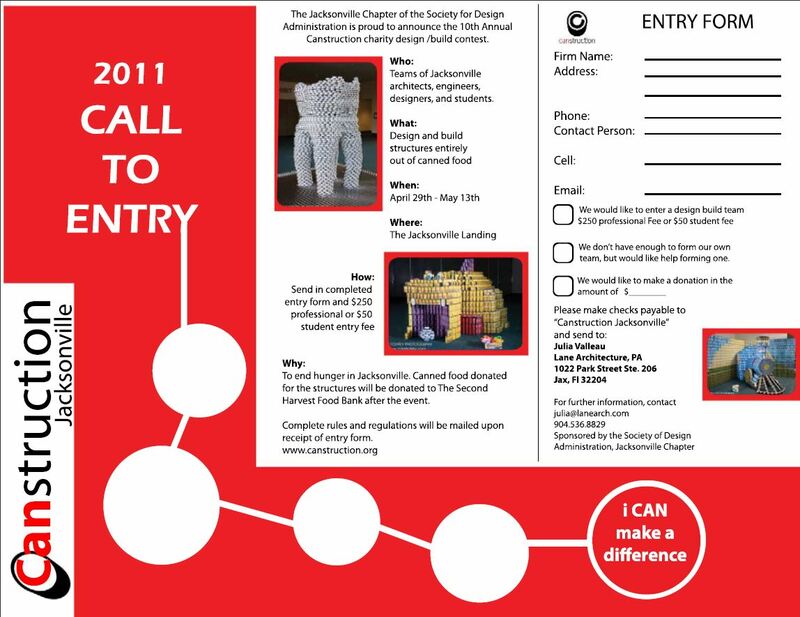 Also Canstruction is coming up and they are looking for teams to participate. Teams compete to build structures using only cans and the food money is donated to local food banks. For more information and how to register please see the attached information sheet below. Click on each image below to enlarge it properly.